For those of you that don’t know what Disney Social Media Moms is, it’s a wonderful group of Bloggers that Disney supports AND these Bloggers knock it out of the park for Disney. They are definitely Disney experts! Let me just say that I love Disney and the attention and support they give to “their” Moms, this post isn’t about hating Disney. When I first starting blogging I joined SO many groups and email lists and tried to be a part of everything and anything I could to network. Disney network was just that…a way to network. I am still online friends and “in real life” friends with many of these Bloggers. Would I love to go again? YES! However it’s simply not in our budget right now with two girls in Sports. 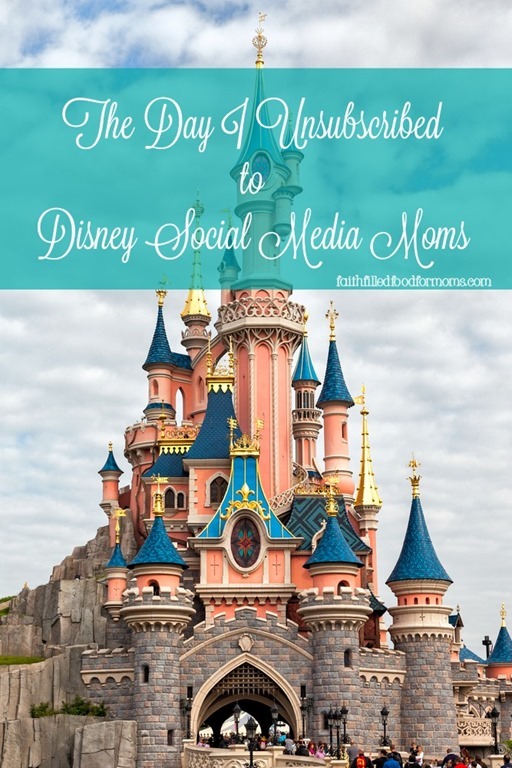 Disney Social Media Moms is made up of Bloggers that know every nook and cranny of Disney and all of the ins and outs of going for almost nothing. I simply don’t. So in honor of cutting back, being real and being honest with myself…I probably won’t be writing anything about Disney anytime soon nor going there anytime soon. but Aww I feel so much better. I just want to be all that God created ME to be. Not what He created others to be. SO if I go to Disneyland again, I’ll probably write about it but I don’t have to be a Disney Social Media Mom to think that Disney is the happiest place on earth. What things are you changing up in your life?